The Escapist staff is at E3 '10 in full force, with instant on-the-spot E3 tweets (or "twE3ts"). 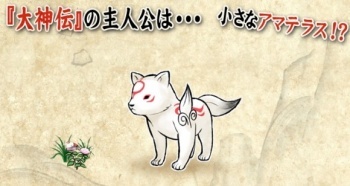 Okamiden sounds like a real winner to me! All of our E3 Away Team is armed with Twitter - Susan Arendt, Greg Tito, Steve Butts and Russ Pitts - and following them is a good way to make sure you're getting all of the latest news (and silly hijinx) that are coming out of Los Angeles this week. Yesterday, we were out on the show floor in full force. So, what say you, Escapist editors? So, what have we learned? Okamiden is awesome, and Greg Tito has an interesting way of judging the attractiveness of women.